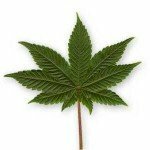 When one encounters a multitude of such designations – marijuana oil, THC oil, cannabis oil, CBD oil – it is only natural to be slightly confused, especially if one does not have a firm grasp of the background of various cannabis-related products. When you have a stage that is fragmented – some of these products are legal in all jurisdictions, some are illegal, some are partially legal, some are under re-consideration for long periods of time – populated by a host of actors with sometimes competing, sometimes overlapping, and sometimes plainly different interests (consumers looking for a safe, quality product; manufacturing and distributing companies seeking profits often at the expense of the consumer; authorities looking to enforce laws based on age-old preconceptions and sometimes manipulated science) you have the recipe for misinformation. In this article, we try to walk over the thin ice of misinformation, piece together in a coherent way, the quality information from reputable sources about these types of oils, in order to deliver the definitive explanation of how and why these oils are distinct, how they may be considered somewhat similar, and how they differ according to particular conditions individuals may be addressing. First of all, we discuss the types of plants that are cultivated for obtaining each oil; then we consider how the chemical substances contained in each oil affect the human body through the endocannabinoid system, followed by a presentation of the methods used for the extraction of each oil variation. There is a good reason why we have referred collectively to the four oils that make the subject of this article as cannabis-related products. Because they are all, in one way or another, a byproduct of the cannabis plant. The designations become trickier when we take into account the criteria that make derivatives of one commodity to fall under different names. The cannabis plant has been around for millennia, being one of the first crops grown by humans after the Neolithic Revolution for textile purposes. And it wasn’t long before they noticed the recreational potential of their harvest. Nowadays, after thousands of years of selective plantation and breeding, botanists usually divide the cannabis genus into three species: Cannabis sativa, Cannabis indica, and Cannabis ruderalis. They vary widely from species to species, and also within the same species. It would seem, on the surface, that as all the products above are extracts of cannabis, then all should be called cannabis oils. Nevertheless, that is only etymologically correct. Cannabis Ruderalis has mostly been cultivated for the impressive size of its stalk, which is refined into textile fibers. Also, it is quite a sturdy plant, adapted to the unforgiving temperatures, with many cultures in the present day being at high northern latitudes. 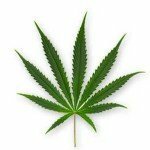 People over the years have also harvested the seeds of this particular type of cannabis and pressed them to obtain cooking oil. This variation is also known as hemp, and when smoked it has little to no psychoactive effect. Therefore, hemp is legal in all jurisdictions, with modern (legitimate) companies producing hemp oil, especially for commercialization as dietary supplements, through many extraction processes. As its name suggests, it is thought to originate on the Indian subcontinent and has for a long time believed to be the type that produces the most pronounced psychedelic reactions. From its appearance, it has more in common with the sativa species, yet it has not adapted to harsher climates, and for large economic incentives, cannabis indica is not very feasible, though it has its advocates. Certainly the most popular type, due to potent recreational consequences, and because it is much more forgiving than indica, cannabis sativa is a favorite of both those engaging in illegal cultivation and trade, legitimate companies (where legislation permits), and bona fide researchers looking into cannabis as the future of (at least palliative) medicine. Some may call this classification as being one of “ideal types” as these variations can have infinite instances of (inter)breeding, yet we should take that sativa and indica have no other applications other than the harvesting of chemicals in their composition for recreational and medicinal purposes. Until approximately four decades ago, this categorization would have been enough to explain how various byproducts of cannabis had originated. Nevertheless, to account for the four extracts that interest us, we have to resort to more recent and sophisticated taxonomies. To better understand the position cannabis nowadays occupies in economy and society, we should move from the botanical realm to the judicial and political one. 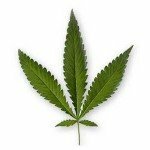 Back in the seventies, when cannabis was added to the controlled substances list by the US government, the only clear scientific notion legislators had was that some strains of cannabis contain a large concentration of a compound called tetrahydrocannabinol, the agent leading to psychoactive reactions in people who (mainly back then) smoked cannabis. There was also an economic incentive to this legal move, as most cannabis consumed in the US originated in Central and South America, making its way in the country alongside other “harder” drugs like cocaine and heroin, via the illegal drug trade. Nevertheless, as cannabis has long been in the attention of medical professionals for its various properties, scientists were not deterred in their pursuit of cannabis as a therapeutic remedy for a number of ailments, and scientific inquiry into cannabis continued at a faster pace than before. To make a long story short, over the next couple of decades, researchers discovered that cannabis realizes its expressions in the human body through a complex network of nervous and messaging cells called the endocannabinoid system, which contributes to the regulation of many physiological and psychological processes. This system consists of receptors and messaging molecules and is found all over the body (much in the same way as the lymphatic system, though much more dispersed and diffuse) of all mammals. The receptors (of which two types – CB1 and CB2 – have been properly identified and depicted) give the impulse to neighboring cells to produce the desired actions when cannabinoids get attached to them. In the natural state of equilibrium in the body, only “locally manufactured” cannabinoids act on the receptors, a few substances (which do not make the object of our article) called endocannabinoids act upon those receptors. As you have probably noticed, these active substances have the “-cannabinoid” termination, and this is because they have similar, though far less potent, effects as the active substances in the cannabis plant, which were discovered first and are now known as phytocannabinoids. In the present day, more than 100 different phytocannabinoids have been singled out in the cannabis plant, in widely differing concentrations, mainly because of the breeding process used in obtaining the plants. The most prevalent of these phytocannabinoids are tetrahydrocannabinol (THC) – known for (but not reduced to) its psychotropic effects, and usually the cannabinoid with the largest concentration in any cannabis plant except for the ruderalis variant – and cannabidiol (CBD) – a substance which has been less researched than THC, but speculated to have a host of benefits and currently under monitorization by the US Food and Drug Administration for inclusion in future therapies impacting many medical areas. As a preliminary and highly gross simplification we should add that THC impacts the CB1 type receptors of the endocannabinoid system (being concentrated in the central nervous system, therefore the psychoactive effects), while CBD act upon the CB2 type receptors (more equally distributed along the peripheral nervous system and the immune system, hence its wide-ranging, yet less pronounced effects). From a chemical point of view, the compounds THC and CBD are found in the cannabis plant as alkaloids which do not have the potential of entering into many biochemical reactions. This is why if you consume cannabis that has not been processed, you will not experience its effects first hand. Naturally, to enter into those reactions, cannabis has to be heated. Some experts argue that if one obtains oils using the cold-processing method, the concoction should yield all the benefits of cannabis without the psychotropic aftermath. The community nevertheless, is divided on the matter, and the truth is that the large majority of oils (be they CBD or THC abundant) involves heating mainly due to economic considerations. The CBD Oil means simply an oil that is extracted from the cannabis plant that has a high concentration of the cannabidiol cannabinoid, usually at least 15 percent of the end-product, which is quite a feat considering that your average cannabis plant does not have over 3% CBD. Unlike the other three oil variations discussed here, CBD oil contains only traces of THC (far less than the 0.3 percent deemed illegal in most jurisdictions). CBD oil has been one of the most discussed, popular, and controversial dietary supplements of the last few years. Many manufacturing companies (and especially that intent on confusing its consumers) have used the designations hemp oil, CBD hemp oil, and CBD oil interchangeably. While it is true that most CBD oils have their origin in the hemp plant, serious scientists can extract oils high in cannabidiol and low in tetrahydrocannabinol through the careful manipulation of strains of cannabis sativa. In fact, many recognized specialists in therapies involving cannabis stand only behind products derived from the sativa species. Furthermore, hemp or cannabis ruderalis is a variant that is low on both major cannabinoids, and one needs a huge amount of plants in order to obtain CBD oil, therefore there is quite a significant possibility that dietary supplements marketed as CBD oil may have nothing to do with what is written on the label, as the control of such products is limited to non-existent. Also, there are “purists” who are of the opinion that the designation “cannabis oil” is only deserving of extracts from indica and sativa plant parts which naturally secrete resinous trichomes, thus limiting the moniker severely. All in all, cannabis oil is a catch-all term which can be nuanced according to the individual or community one is addressing. In a market that is less than ideally regulated, one should expect remarkable linguistic variations. These terms are almost always used interchangeably, as they both signify an oil with a high THC proportion (the lowest threshold would be around 15% while the most concentrated such solutions may contain up to 80 percent THC). The confusions here derive from what is usually meant by the term”marijuana.” Many legal statutes have only recently correctly defined the outlawed drug as cannabis with an “X” THC concentration (X differs from region to region). These statutes outlaw “marijuana” as people adopted the term before the transition to illegality and then the designation was perpetuated. Marijuana is just cannabis (naturally, we are referring to the indica and sativa varieties) cultivated with the specific purpose of obtaining psychotropic effects in a recreational setting and, more often, with the purpose of financial gains through illegal trafficking. “Marijuana oil” is customarily used in conversation to point out the illegal status of the product. We hope that this classification has convinced you that these monikers are, for the most part, used to describe nuances and not absolutes, because when it comes to cannabis oils, there are no absolute differences, other than the legal limit from where the tetrahydrocannabinol concentration becomes prosecutable. For individuals looking to reap the health benefits that these oils may bring, the information in the next section – extraction techniques– is far more important than this tricky, yet (some would argue) risible etymological conundrum. The “CBD camp” argues that the benefits of CBD are far superior to those of THC, not to mention its legality worldwide, and therefore only extracts from hemp should be considered as medicine. Those who believe that unadulterated extracts of cannabis sativa and indica are the best, as nature should not be interfered with. The problem here lies in the fact that extraction methods always, if slightly, change the cannabinoid composition of the final product. Ethanol-based – this technique is by far the most widely used, as ethanol is readily available in most countries, and does not involve obtaining high temperatures or pressures. There are several problems with this method: there is a risk of fire, as the purity of ethanol drops so does the cannabinoid composition in the oil and the unpleasant, grassy texture and taste of the end-result. The best results are achieved when using alcohol of at least 99 percent purity, yet the costs and expertise involved in handling it means that these instances are few and far between. Naphtha-based – naphtha is a concoction of hydrocarbons which appear as a byproduct at natural gas sites. Though this type of extraction is frowned upon by environmentalists, the low cost and high yield of the naphtha-based technique makes it popular among companies which need to deliver important volumes of cannabis oils, quickly and from the least quantity of raw material as possible. This method all but wipes out cannabis’ sought-after terpenes, though the cannabinoid concentration, visual and olfactive appeal of the oil do not suffer at all. Petroleum ether-based – this technique very much resembles the naphtha-based one, but there are some differences: petroleum ether is much more expensive than naphtha, it tends to lower the THC content, yet it does not affect the terpenes composition. Each method has its advantages and disadvantages. Olive oil-based – a manner of extracting cannabis oils which is gaining popularity, especially among DIY enthusiasts at the micro level. It seems that from the four “standard” methods of extraction, using olive oil as solvent keeps the most of the original cannabinoid and terpenes composition of the cannabis plant. For obvious reasons, this technique is not applicable to enterprises seeking extraction at an industrial scale. NextBio X4 2017 Reviews: Is it Worth Buying?